/ Here’s how Domo does hack night. When a bunch of adults get together to play with Legos, most people call it juvenile—at Domo, we call it Hack Night. And last week that’s exactly what we did. The Ready to Rumble Hack Night featuring Lego Mindstorms robots pitted the best and brightest Domosapiens head to head for four hours of building and bonding. Each team had four hours to build and program their robot. Each robot had to complete a maze for time. Robots could collect optional rings in the maze for extra time. The robots with the fastest time moved onto the next round. The single elimination tournament bruised robots, broke hearts, and crushed dreams, but when the dust settled, two teams still had working robots. The championship round featured Team Terminators, the brainchild of Nate Pilling and Kip Lawrence taking on Whiskey Tango Foxtrot created by Chris Mena and Brett Child. This was the battle everyone had waited for. 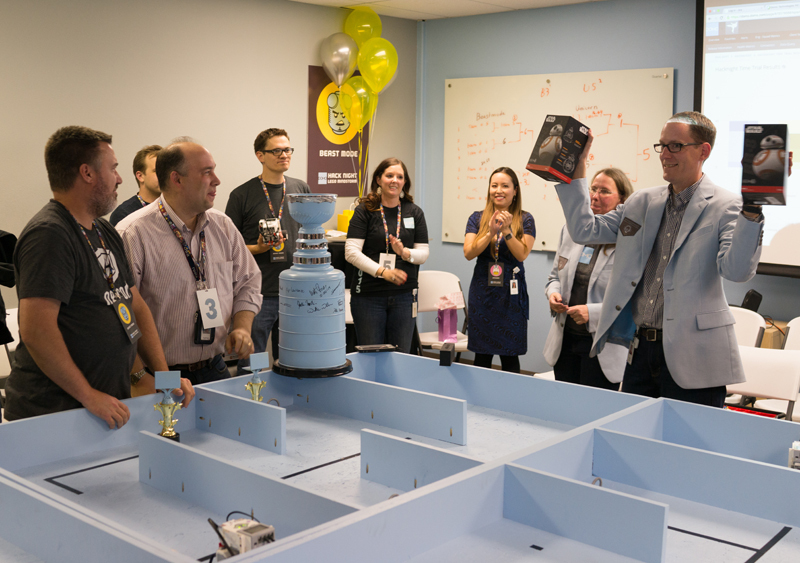 Fueled by Red Bull and Sub Zero ice cream, both teams took their place at the starting line. The craze in the maze. 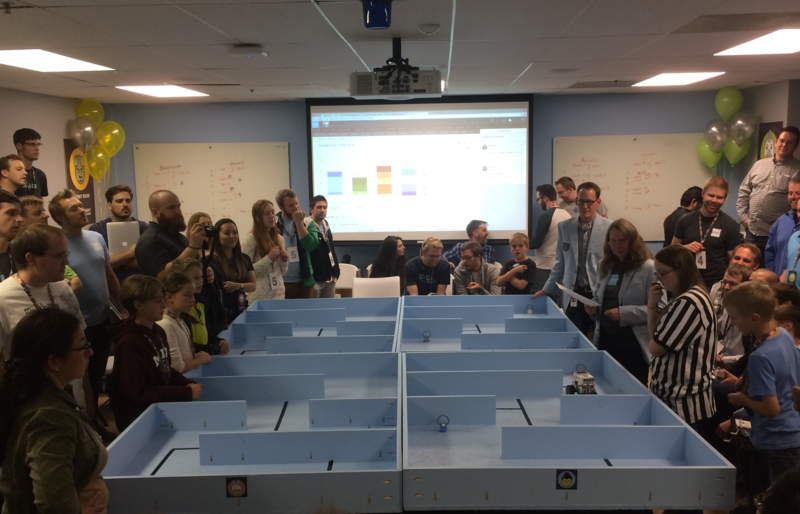 The ref blew the whistle and the robots ripped through the maze—the championship round was underway. At the midway point it looked like Whiskey Tango Foxtrot might run away with the victory. But just as WTF zipped towards the finish line something unexpected happened—he stopped. Chris and Brett scrambled to troubleshoot the broken bot. Meanwhile Team Terminators narrowed the gap. Crowds love the unexpected, and this upset was no exception. The crowd roared as Terminators crossed the finish line for the come-from-behind victory. And as quickly as it started, the championship round was complete. Team Terminators crowned champion of the Domo Hack Night. And to the victors, go the spoils. Although not everyone left with a trophy, nobody went home empty-handed. Domo Hack Night represents a unique opportunity to create, destroy, and innovate outside of our nine to five. But hack nights aren’t just about bonding, several Domo product innovations got their start there. It’s a chance to meet, mingle, and collaborate with coworkers in other departments. 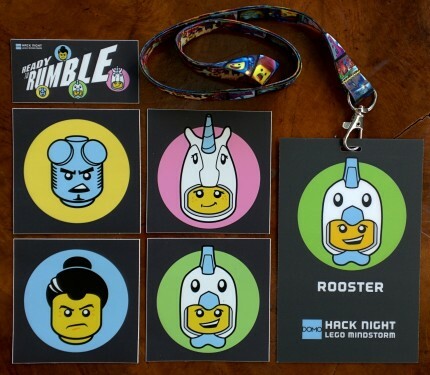 It’s tough to truly understand the excitement of hack night in a blog post. Join Domo today and see firsthand how our culture makes the difference, and employees can’t stop talking about it.